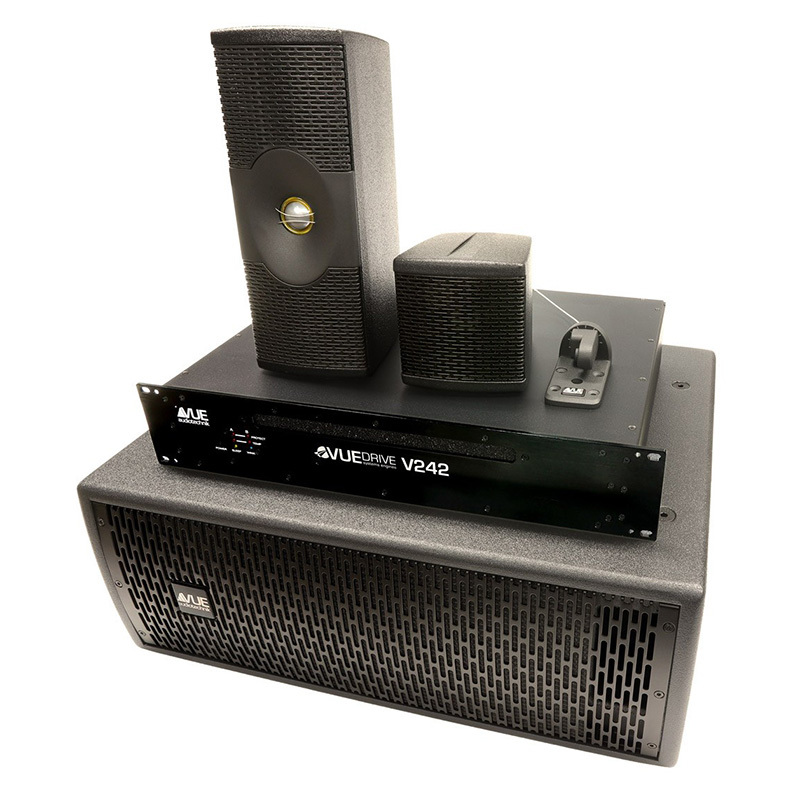 VUE Audiotechnik Expands e-Class Architectural Series | Northmar, Inc. True to its reputation for resetting the performance benchmark in each category it competes, VUE showcased the integrator-optimized audiophile-quality e-Class at the 2019 NAMM show. The benchmark-setting e-Class range was presented in an immersive 5.1 environment that included the e-352 and e-351 Nano speakers, the new es-269 subwoofer with patent-pending ACM technology and the VUEDrive V242 Systems Engine. The new es-269 subwoofer combines two, precision-engineered 6×9 transducers, sophisticated VUEDrive electronics, and VUE’s Active Compliance Management (ACM) technology. Originally developed for VUE’s flagship hs-Class touring subwoofers, ACM allows for extended response with higher output than any traditional vented design topology by combining both band-pass and vented alignments into a single enclosure. The use of ACM technology allows the es-269 to deliver reference-quality flat low-end response down to 40 Hz, as much or more output as much larger dual-8 or 10-inch systems. The es-269 packs all this performance into a svelte 9” x 23” x 17.75” birch cabinet with integrated M10 attachment points and optional wall/ceiling mounting bracket.